The BBC has recently been reporting that memories can be carried from one generation to another through genes. We always knew that certain characteristics were passed on, but we had never known if or how memories were transferable. Well it seems that they are, but what might this actually mean? On 1 December Nature Neuroscience published a report that you can read the abstract of here although it is extremely technical. In lay terms the research aimed at understanding how experiential and behavioural traits could be passed on. 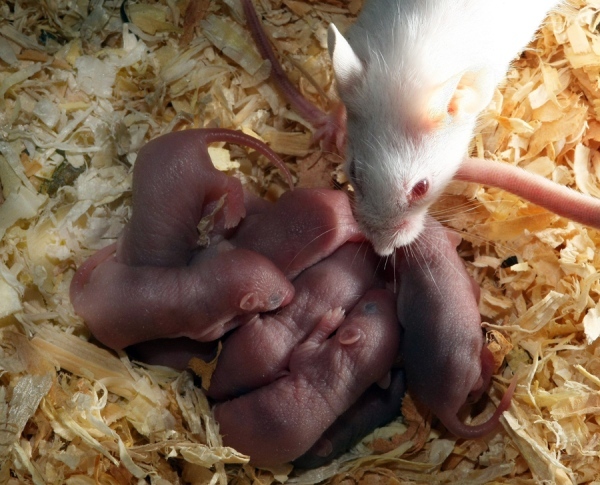 In the case under discussion they used mice to see if traumatic stress experiences could be seen to influence the next generation. The experiment went something like this. A mouse is put into an environment that has a particular smell, cherry blossom for example. In that environment and accompanied by the smell the mouse is traumatized in order to produce stress. The post traumatised mice then produce offspring, and they themselves produce a new generation. The grandchild mouse is exposed to the smell (cherry blossom) and their activity is monitored to see if they behave differently as a reaction to that particular smell, and they do. The mice were “extremely sensitive” to cherry blossom and would avoid the scent, despite never having experienced it in their lives, and changes in brain structure were also found related to the smell. The report concluded that “the experiences of a parent, even before conceiving, markedly influence both structure and function in the nervous system of subsequent generations”. I wonder if associations are just negative? My children love the smell of Indian food, my father was raised in India and also loved the food, but he died many years ago and my children never knew him. Do they like the smell because my dad passed a liking of the food through my genes to them? This is a simple example to question, but what are the implications for society after war? If we think about the Vietnam conflict, or more recently Afghanistan or Iraq for our our US veterans, what have they passed on to their children? Could the post war generation be suffering from a form of Post Traumatic Stress disorder thanks to their parents’ experiences? And could the memory be more complete in a human brain, possibly being better functioning that that of a mouse? And think about the implications for the theory of evolution. Author of the 2012 ebook "A Handbook for Responsible Innovation" (99c from Amazon), Jonny works for the Bassetti Foundation in Milan publishing articles on innovation and responsibility on their website and also blogging about his interests. He is on the editorial board of the Journal of Responsible Innovation and a member of the Integrated Network for Social Sustainability. I did read the BBC article and was interested by it. A Level, Psychology taught me that memories cannot be simply passed from one generation to another however over time, traits which benefit a species can transfer. This is obviously more up to date and is indeed surprising. I would really love to know how this works, as like you say, it has major implications for the theory of evolution! This is amazing stuff, maybe it explains people believing that they have had past lives and people who undergo a trauma and then wake up speaking a foreign language. It would also explain how birds know where to fly instinctively and many animals can hit the ground running.